In a not-so-surprising move, John Mueller from Google has talked about the big changes coming to Google Image Search this year. Changes to image search were always imminent, especially with the success of the Shopping tab on Google. According to Mueller, image search is going to be more functional and content-intensive. Rather than being used to search for images for purely visual reasons, users can – and will – start relying on Google Image Search for finding informational visuals. The changes themselves are not clearly defined right now, but Mueller’s statement is a clear indication of a shift towards image search by Google. So, how will the shift change things? Optimising images for search engines is not a new concept when performing web optimisation duties. We are already familiar with certain aspects of image SEO such as adding description or ALT tags to images. If you have been monitoring the SEO performance of your images, you will notice something: images are starting to show a real return on SEO investment. Images with ALT tag descriptions are performing better than those that don’t have them. The little things matter more, including how the image files are named. Images with readable filenames – smartphone_in_use.jpg as opposed to cover_01.jpg – also rank higher in search results. The changes being made to Google Image Search can only mean more focus on image SEO. Depending on what those changes are, we may see a big shift towards further optimising images to make them searchable. Even metadata – which we usually remove to reduce the size of images – could be important in the future. Learning from Google Shopping, it is also safe to say that images will get a more prominent spot in the traditional search results. We already see images in search results right now, so it doesn’t take much for Google to make the display more functional. Something similar to the way video search results are displayed will definitely be useful to the audience. Rather than displaying a line of images – the way images are displayed now – Google can add more context to them by displaying image titles and descriptions. These visual results will certainly be more appealing, hence how important it is to focus on image SEO. 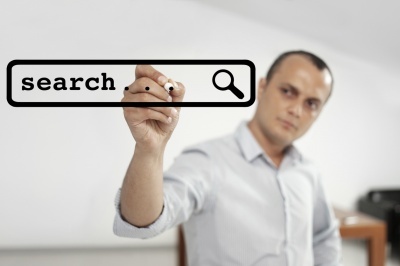 Starting now with your image SEO efforts means getting a head start. It is also important to note that Google is getting a lot better at recognising images. It has gathered data from Google Lens and the artificial intelligence behind the visual search service is more capable than ever. Don’t be surprised to see image search being integrated with Google Lens in the future. Once again, Google Shopping is a clear indication that this is something Google can do with images; Google Lens already has the capability to find products and detailed information from a snap. Regardless of the big changes happening to Google Image Search this year, we can expect a big shift in how search engine optimisation can be approached. The shift towards image search means it is important to think differently; more important than ever.